If you aren’t currently using a floorplan website to design your event floorplans, it’s time to get started! There are many benefits to using a floorplan website like AllSeated which provides collaborate digital planning tools and features for easily working with your clients to plan memorable events. A floorplan website like AllSeated makes it simple to design floorplans to scale. Although most venues already have their floorplans within AllSeated, in the event that you cannot locate your venue’s floorplan in AllSeated, don’t worry! If you provide us with a floorplan marked with at least one accurate dimension, our team will scale and upload it into the platform for you. Work collaboratively to create the floorplan diagram you desire by exploring AllSeated’s vast furniture library. Select from a wide variety of table shapes, sizes and styles to meet the need of your event’s floorplan layout. All furniture and tabletop items are designed to scale with the exact listed dimensions. Using a floorplan website like AllSeated takes the guesswork out of wondering if everything will fit in your venue space on the day of the event. Aside from positioning the furniture within your floorplan diagram, you can also customize the spacing between tables as well as the number of chairs around each table. Include table numbers and even mark the areas for the dance floor, band area, and other features as well including bars, buffet tables, food stations, exit areas and even food trucks! AllSeated’s floorplan tools also provides you with both 2D and 3D floorplan viewing. The 3D view can be set to “Bird’s Eye View” which allows you to see your floorplan layout from above. Alternatively, you can walk through the space via 1st Person View which will feel as though you are actually moving through your event. Taking a virtual walkthrough of your layout with a floorplan website like AllSeated in 3D helps to ensure that you’re 100% satisfied with the layout before the actual day of your event. Manage permissions within your AllSeated account. Collaborate with your client and show them their event’s floorplan but manage your permissions so that you can control if they have access to making changes or simply viewing the floorplan. AllSeated offers premium designer tools which allow you to build to-scale tabletop and buffet displays. Watch your floorplans come to life with the ability to view not only your floorplan diagram but your tabletops and buffets too! All designed to-scale, AllSeated’s table builder and buffet designer tools currently have options for place settings, flowers, centerpieces, linens, and buffet pieces, with many more objects to come. While you can control the features and details for floorplans, you can set the permissions to allow your client access to manage their guest list and easily seat their guests. 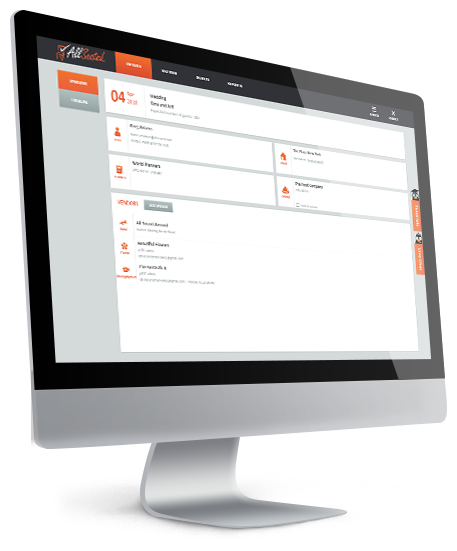 Provide your client with the added value of managing their guest list directly within AllSeated as it’s a tremendously helpful product for helping your client plan their event! Guest information, including names with mailing addresses, can be stored alphabetically or filtered into categories for an even more organization. The guest list also allows space for keeping notes, meal type requests, and the ability to track RSVP’s. The guest list also allows for tracking guests and running reports in real time. The guest list features a direct link to seating, allowing clients to easily seat guests at the tables in the floorplan. There is also the option to seat guests at specific seats as well, if desired. 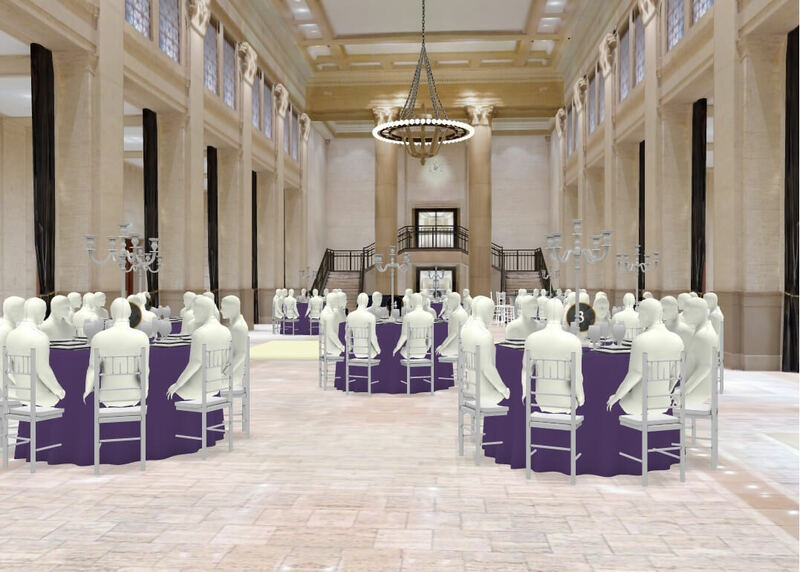 Allow clients to experience their event before it happens with AllSeated’s Virtual Reality. Using special Virtual Reality goggles, virtually tour a future event’s 3D floorplan layout in a realistic simulation. Learn more about AllSeated’s Virtual Reality tool in this video plus the three easy steps for getting started here. The VR technology gives clients the ability to view your property and event space regardless of where they are in the world. Prospects can tour your space in a 360 degree view anywhere, anytime allowing for a digital, life-like walkthrough of your venue. This allows for an onsite experience without actually having to step foot on your property. Learn more about AllSeated’s VR watching this quick video!